Said Marshall H. Shannon was born in Dayton in the State of New York, is twenty six years of age, five feet ten inches high, dark complextion, dark grey eyes, black hair, and by occupation, when enrolled, Carpenter. Given at Indianaoplis Indiana this fifth day of July 1865. WM. 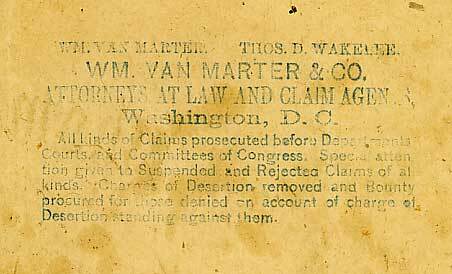 Van Marter & Co.
All inds of Claims prosecuted before Department Courts and Committees of Congress. Special attention given to Suspended and Rejected Claims of all kinds. 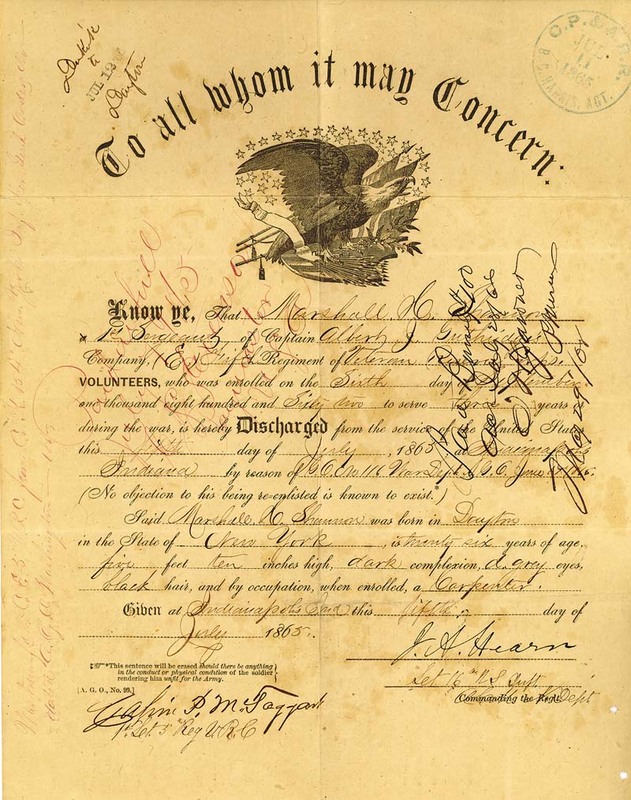 Charges of Disertion removed and Bounty procured for those denied on account of charge of Desertion standing against them.